The Leeds office of national consultancy Pegasus Group has announced a series of internal promotions. The Group specialises in planning, design, environment, economics and heritage and has more than 280 staff operating from 12 offices in 11 locations across the UK. In the Leeds office, Michael Cheng has been promoted from Principal to Associate Urban Designer with Laura Garcia from Principal to Associate Heritage Consultant. Cheng specialises in residential layout design, and since joining in 2017 has also been involved in some large-scale mixed-use developments including masterplanning work on a creative, digital and media development on the site of an old RAF base in North Yorkshire. Bringing with her more than 16 years’ experience working on and managing heritage projects for public and private sector clients, Garcia joined Pegasus Group in 2016. Tony Bate, Pegasus Group Managing Director, said: “We are extremely proud of the range of talent that exists across the whole of the Group. Barnsley-based Billington Holdings has announced the appointment of Stephen John Wardell as a Non-executive Director. Wardell is a retired senior audit partner of KPMG who has worked with FTSE 100 and 250 boards in an audit, advisory and relationship management capacity. He retired from KPMG in 2018. During his time at KPMG, Wardell held a number of management roles and had a particular specialty in the construction and contracting sectors working with listed, private equity and privately owned businesses, both in the UK and internationally. In addition to his position as a Non-executive Director, it is intended that Wardell will chair the audit committee for Billington. Graphic display firm Leach has announced the appointment of a new client services director. Suzanne Pitcher joins the Huddersfield-headquartered firm with more than 15 years of design, print, brand marketing and project management experience. Previously business development manager at Service Graphics, she has significant experience in digital signage industry coupled with print management expertise from her time at a Leeds-based B2B agency. With £500,000 of additional investment and 20% expansion forecast for Leach over the next 12 months, Pitcher will be working alongside the sales and account management team to offer a wider range of products and services to clients, plus greater penetration of markets including sports, property and retail. She will also be responsible for maintaining customer service levels across the business, during this ongoing period of change. Pitcher said: “I’m delighted to be joining Leach at such an exciting time for the business – the product portfolio is growing each day and with the level of knowledge and expertise we have in-house, we’re able to offer a consultative and innovative approach to working with clients in the UK and across the globe. 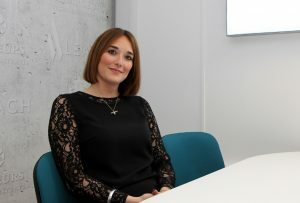 James Lavin, managing director of Leach, added: “Suzanne’s appointment as client services director represents the first in a number of key hires for Leach, as we continue to expand our product offering and client base throughout 2019 and beyond – watch this space for new additions to our marketing, R&D, sales and account management teams. 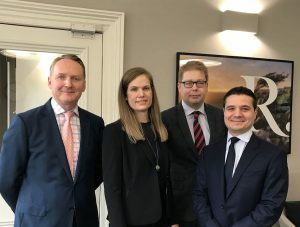 Raworths Solicitors has announced the appointment of Annette Thomson, who has joined the Dispute Resolution team as a Registered Foreign Lawyer. Thomson is a qualified Advocate in South Africa and is currently practising as a Registered Foreign Lawyer. Her appointment will give the team further breadth and facilitate growth whilst maintaining a robust delivery of client service. The team provides tailored and specialist dispute resolution services to individuals and businesses based throughout the region and beyond.